Break is almost over. Sad. I can't believe how fast it went by. It seems like two days ago I was lugging my suitcases up the wooden stairs of my Mexico home; it seems like just yesterday I was trying not to slip on the icy slopes of Aspen. Now it's all just a blur. I have to admit I'm sad to leave (as always). But I'm also ecstatic about starting a new semester; I need a fresh start. So here's to a new semester--a great one too! 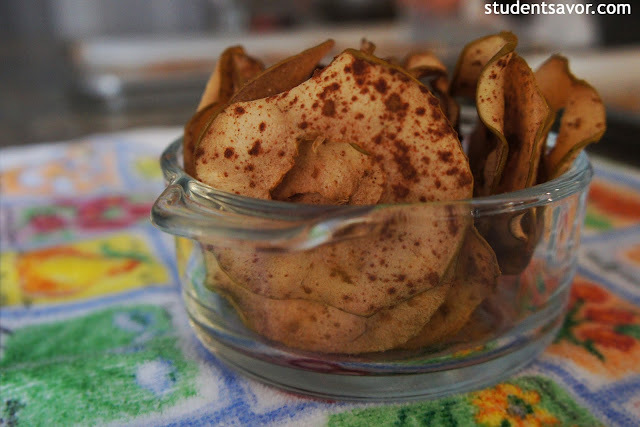 Anyways, I ran into a recipe for apple crisps a couple of days ago, and I couldn't get it out of my mind since then. So I decided to give it a try today. 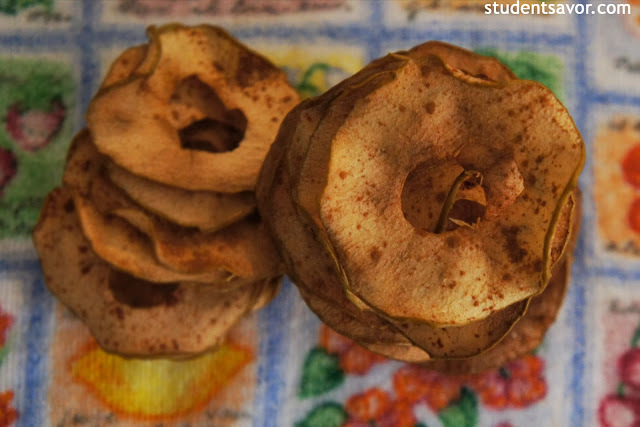 Turns out, you don't need a fruit dehydrator to make apple chips; you just need an apple corer, a mandoline and an oven set to a low temperature. 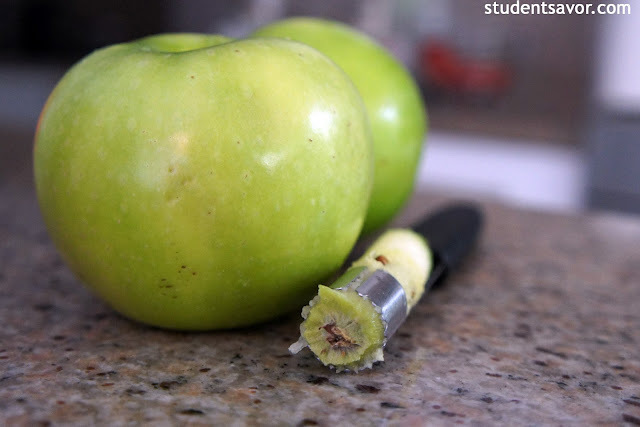 Take two apples and you get plenty of chips. The perfect snack to go with a cup of tea on a cold and rainy afternoon. Active time: 10 minutes. Total time: 1 1/2-2 hours. Preheat oven to 225 F. Line two rimmed baking sheets with parchment paper. 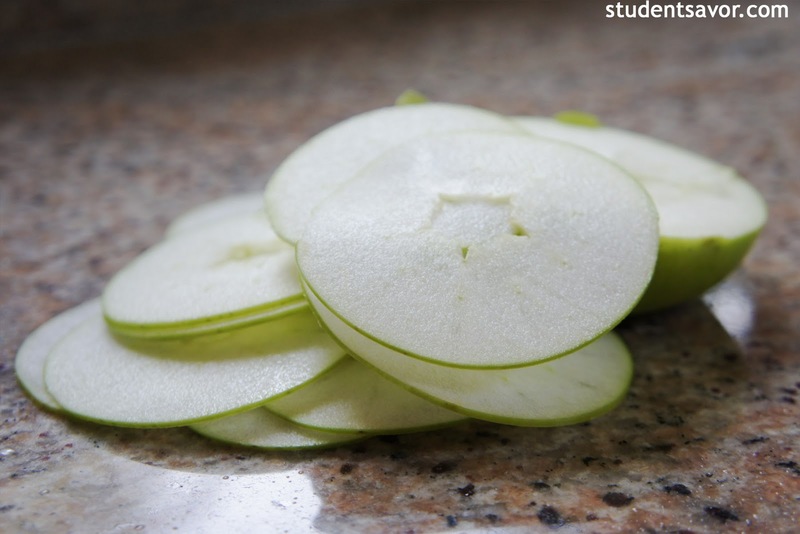 Using a mandoline, slice apples into 1/6-1/4 inch rounds. 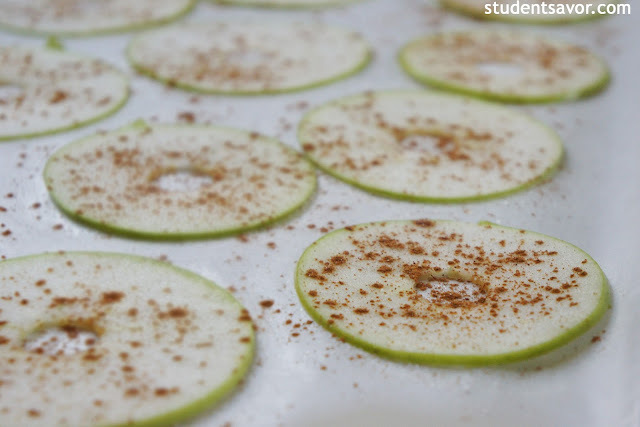 Arrange apple rounds on lined baking sheets. 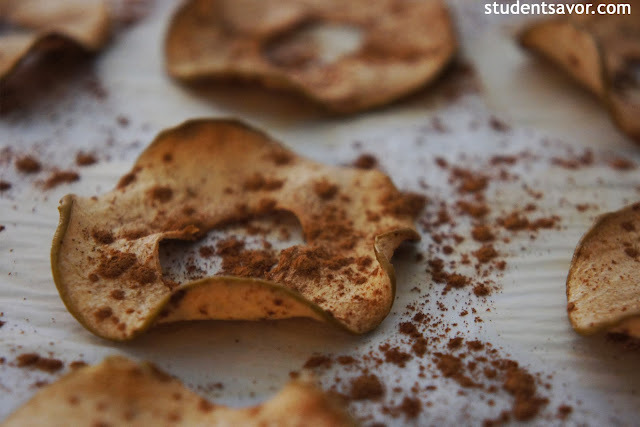 Sprinkle with cinnamon and splenda. Bake for 1 1/2 hours, or until edges are crisp and apple rounds get wrinkly, turning rounds and sprinkling again halfway. Let cool and serve. *These won't keep very long because they will become moist and lose their crispiness, so EAT UP! They're very very healthy anyways, so who cares.